I Tiara Production Sdn Bhd proudly introduce to you and extraordinary pets show that will make a dent in the world of pet lovers. 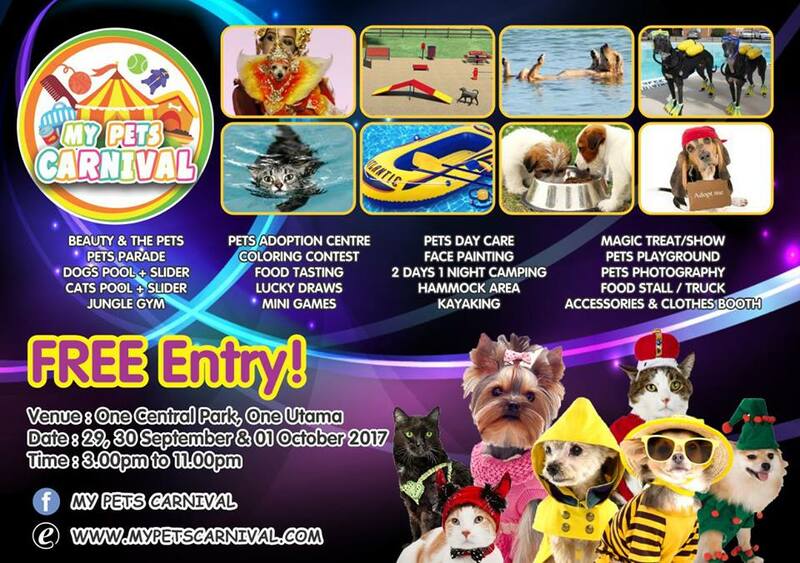 Don't miss this 3 days, My Pets Carnival 2017 that will be organized at One Central Park @ 1 Utama, Bandar Utama on 29th September until 1st October 2017 (3 pm - 11 pm). My Pets Carnival aims to raise the awareness not only for pet lover but also public to show their love for animals. They also intend to create the ultimate bonding time where the owners can spend valuable time with their furry kids. A special thanks to 1 Utama, one of their collaborating partner for a wonderful space to cater the carnival. Not forget other wonderful sponsors like Taro Chats, Pets Lover Centre, 88 Pets Mart and Baddogz Jin Studio. On top of that, they would like to express their sincere gratitude for all participating booths who trusted them and their missions. 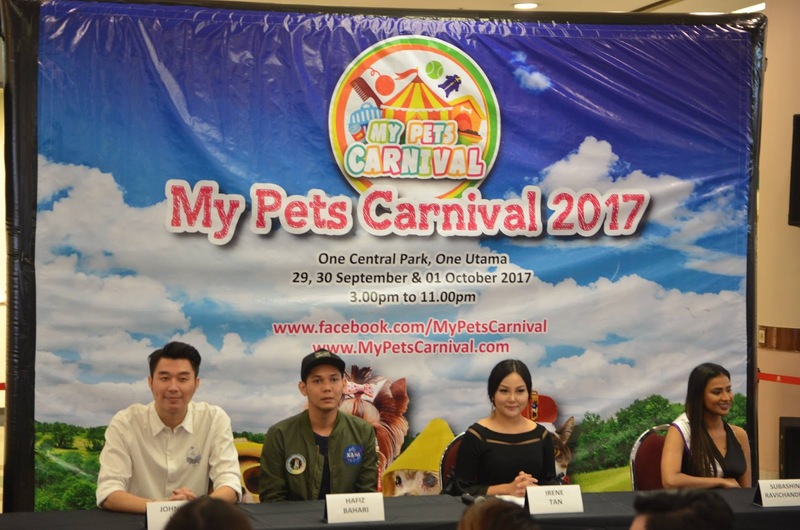 This year, My Pets Carnival has appointed two celebrities, Namely Mr. Hafiz Bahari and Mr. Johson Low as the official ambassadors together with the petite beauty queen Mis Subashini Ravichandreni. According to the organizer, " We believe that they ideally represent and express the ultimate intentions of our event as they often contributed to the Pets society and with them, we believe that the awareness of Pets welfare will be carried a big step forward. Pet owners will be enjoying a massive 70 meters long and 6 meters wide of the water slide. The water slide will be the first in Malaysia to introduce an innovative, adventurous and tremendous fun for furry kids and their owners. The sliding lane and landing spot for cats and dogs will be separated as they want to ensure every pet occupies a special place in their owner's heart and they deserve the best. The pet owners can spend their time with their cats and dogs in the pool. If your furry kids are still in training, life jackets will be available for rent. Dogs and cats will be separated in two different pools. Owners get to dress up in the same theme, color, or other forms of matching costumes with their furry kids and stand a chance to win prizes. Witness yourself how beautiful petite women love their furry kids. As they will be appearing on the stage as they perform their catwalk or their walk-with-cat. If your furry kids are adventurous, get them into a hammock and watch the skies together. It is the best place to spend time talking to them. Free to ride and in a safe environment. Is a bonding time with your pets whereby on 30th September & 1st October whereby pet owners can choose to camp overnight under the stars in a tent or go kayaking with their pets in the lake. 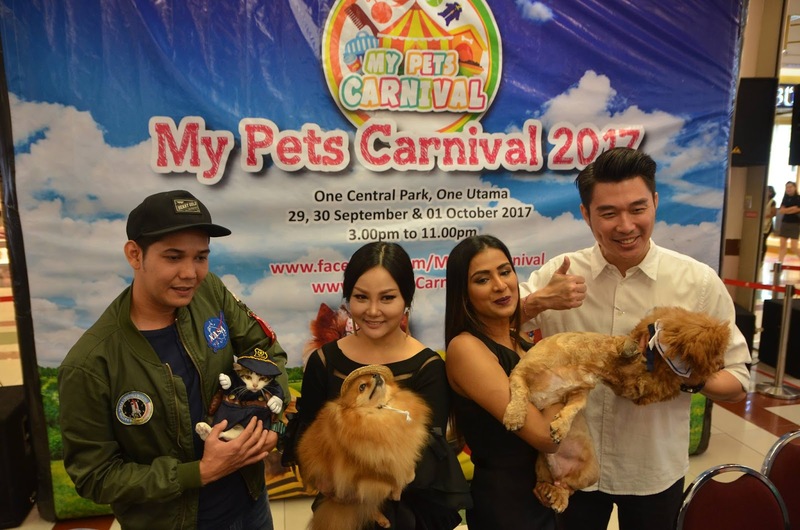 During My Pets Carnival 2017, the organizer will devote a large part of its booths to NGOs in support of non-profitable groups who are involved in general animal's welfare. This is to create awareness to the public on strays issues and promote the love for animals in general. Do share with your pets what LED has to offer at night, it might not be new to you but it certainly will be for your furry kids. * Magic Shows, Children Coloring contest & games. More exciting activities arrange for family and also their pets. There will also be a lucky draw with prizes comprising pet products for your pets to enjoy. The custom-made items are designed to decorate the Carnival in the park and of course, it will be something new again. Besides selling pets items, they do have other types of a booth. Immerse yourselves in and shop all the way from your furry kids' items to human products. 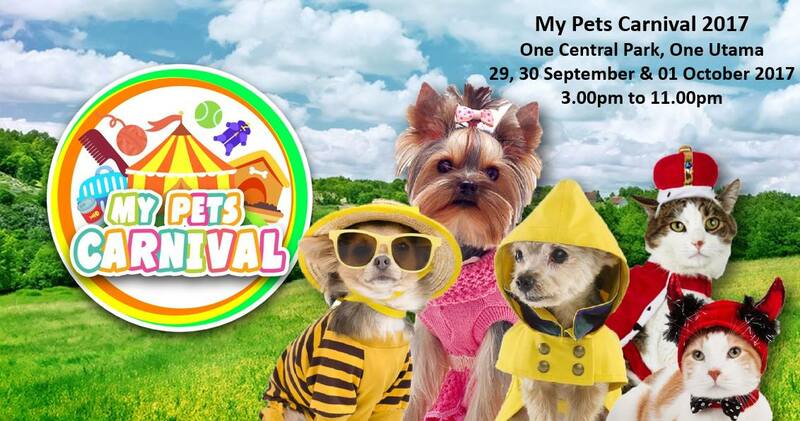 For more inquiries regarding My Pets Carnival, feel free to contact Miss Wai at 010-8899 7106 or browse their website at www.MyPetsCarnival.com . Follow them on Facbook: www.facebook.com/MyPetsCarnival for more update.